Green roofs—cultivating rooftops with grass or plants—is one sustainable building strategy that pays off in multiple ways. They cool building and cities by mitigating the urban heat island effect; they extend the life of the rooftop by protecting it from heat and UV rays; and they hold onto rainwater that otherwise would run off into lakes and streams. And, oh, yes, they also happen to be lovely places to spend an afternoon. So why not spend a summer happy hour touring one of the premier green roofs in Minneapolis? 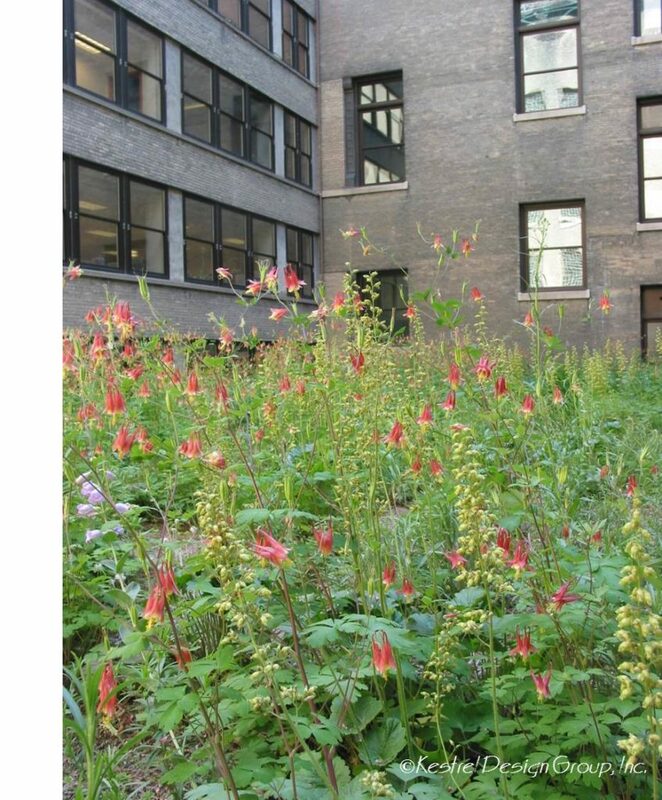 Here’s your chance: Wild Ones Twin Cities is sponsoring a free tour on June 8 of the Minneapolis City Hall’s green roof, led by landscape architect Nathalie Shanstrom, of Pasque Ecological Design and Consulting in Bloomington. City Hall’s roof was installed in 2008 as a demonstration project to inspire homeowners and businesses interested in creating their own green roofs. Today, it’s a flourishing garden full of native plants, birds, and pollinators. It includes 43 species of plants, including Jacob’s ladder, Cranesbill, Columbine, large-leaved aster, and partridge pea. It buzzes with honeybees, thanks to the Shakopee Mdewakanton Sioux Community, which donated the bees from its own apiaries. To join the tour, meet at the City Hall Rotunda, 350 S. 5th St. at 3 p.m.